The Canadian province of Manitoba announced that two bat species would be added to their list of endangered species in a release on Tuesday. The northern long-eared bat and little brown bat gained the status due to the pending threat of white-nose syndrome. 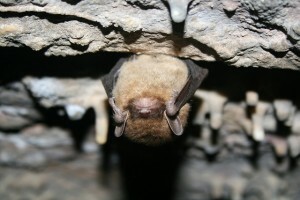 Although no bats have been found infected with the disease in the province, it has been confirmed in bordering jurisdictions and is expected to arrive any time. Besides the bats, Gastony’s cliffbrakes were added as endangered, the olive sided flycatchers were included as threatened and Canada warblers were downgraded from endangered to threatened. To better protect these and other animals, Manitoba also introduced a level of protection by modifying their Endangered Species Act to include ecosystems. The first province to make the move, the change will protect at-risk species that rely on the habitat found within the ecosystems. The first two ecosystems to be listed are tall grass prairie, a complex ecosystem that is host to a vast array of grasses, flowers and wildlife, and alvar, a rare plant community that grows in thin soil over limestone.